Applications for GZEP 2019 are now open! Are you a high school senior, college student, recent graduate, or young adult interested in a short-term or summer job working with youth and the environment? If so, you can apply to be a Team Leader, Site Manager, Ward Manager, Warehouse/Project Manager, Payroll & Project Assistant, Program Assistant, or Field Manager for DOEE’s Green Zone Environmental Program (GZEP). Every summer, GZEP partners with the Marion Barry Summer Youth Employment Program to provide over 300 youth and young adults, ages 14 to 24, with an opportunity to learn about energy and environmental issues, complete community-based environmental work projects such as rain gardens and storm drain markers, and prepare for careers. Being a GZEP staff member is a great opportunity to work with District youth and gain valuable leadership experience. Read about the positions below and use the links to apply now or learn more. Education & Career Building: Through classroom and on-site instruction, GZEP participants are given the opportunity to learn from the District’s leading experts in the fields of energy and the environment. In addition to learning about a range of subjects from climate change to renewable energy, local nonprofits also provide participants with training on basic job skills and resume writing. Environmental & Community Work Projects: Three days per week, GZEP is out in the field working on a variety of environmental and community projects. Projects from past years include building and maintaining urban farms, removal of invasive plants, tree planting and maintenance, neighborhood beautification, construction of rain gardens, and landscaping services for senior citizens. GZEP Partners: Each year, GZEP partners with local organizations to provide meaningful training, projects, and career preparation. Past partners have included the Anacostia Watershed Society, Casey Trees, the Earth Conservation Corps, and the Student Conservation Association. DOEE and the Department of Employment Services (DOES) partnered to offer Solar Works DC, the District’s low-income solar installation and job training program in 2017 as part of the Solar for All initiative. 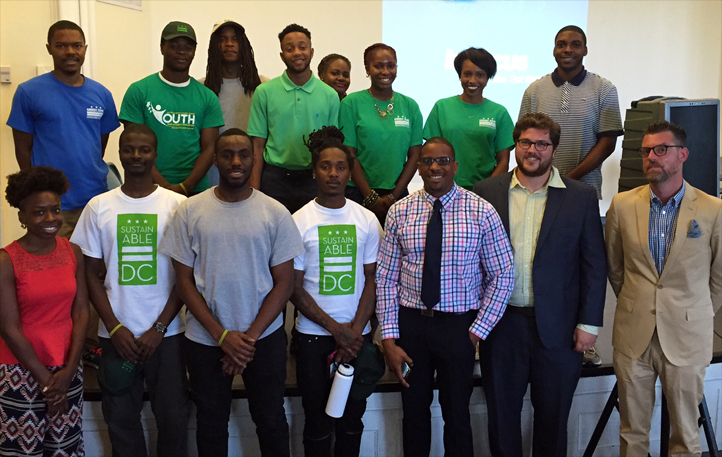 Solar Works DC operates three cohorts year round and the summer cohort recruits solely MBSYEP /GZEP participants. 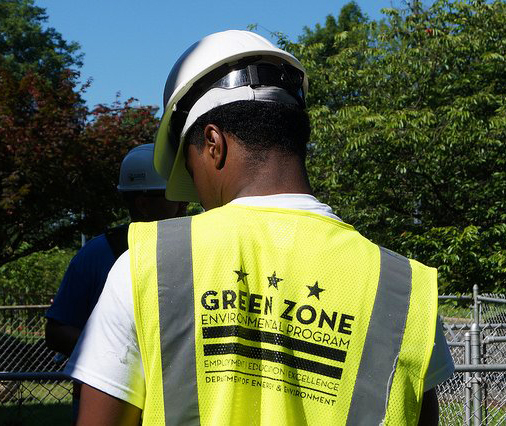 MBSYEP/GZEP participants accepted into Solar Works DC must be 18-24 years in age and District residents; interest in renewable/solar energy and construction is preferred. GZEP site manager and team leader applicants may indicate their interest in the Solar Works DC summer cohort in the applications listed above. This training program aims to prepare District residents to enter careers in solar and related industries. In addition, Solar Works DC will increase solar capacity in the District and reduce energy costs for qualified low-income District homeowners by installing solar systems on their homes. GRID Alternatives Mid-Atlantic currently implement the program, and in its first year the program will train up to 75 District residents and install solar systems on 60-100 low-income households. The program launched in June 2017 and is preparing to start the spring cohort this March 2018. The Solar Works DC summer cohort will receive certifications in OSHA 10 and CPR/First Aid. To date the program has completed 2 cohorts and graduated 39 trainees; 14 of those graduates now working in the solar industry. The summer 2017 cohort installed solar systems on 12 income-qualified homes and the fall cohort completed 23 installs. As a result of Solar Works DC, over 130kW solar capacity has been added in the District and homeowners can expect to see a 50%-90% reduction in their electric bills, making great impact and savings. Read more about Solar Works DC and Solar for All.